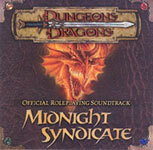 Like everything else produced by Midnight Syndicate, Dungeons and Dragons Official Roleplaying Soundtrack sounds as though it were created specifically for gaming (and in this case, it actually was). Each entire album sounds as though it follows an epic storyline all the way through. This is punctuated periodically with sounds that gamers should find familiar, the sounds of dice rolling and the like. This creates a familiar sort of ambiance that makes gaming, designing and even just easy listening very familiar and laid back. 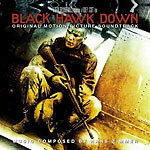 Hans Zimmer once again shows his talent with this soundtrack. Most of the tracks on this album have a decidedly Middle Eastern beat to them, which means that the album lends itself well to designing or running a desert-based area or an exotic bazaar. Track 13 is especially powerful, as it hints at a great loss, and then picks up the beat to indicate perseverance through hard times. Except for track 14 (which has an "Irish funeral" feel to it), the tracks that have lyrics are in a non-English language, so unless you can speak Somali, the lyrics will probably just add to the ambience. All in all, this is an excellent background for any game set in a desert. 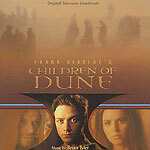 This soundtrack runs the gambit of emotions, which has resulted in an exceptional collection of music. Some tracks are very light and fade well into the background. Other tracks seem designed to provoke specific emotions, such as sadness or hope. Still other tracks boom loudly with a power that speaks of an epic event. Even then, however, the music is not imposing and wouldn't distract from the story unfolding in a game. Being the soundtrack of a movie about a desert people, a handful of the tracks seem tailored to the music of desert cultures, though the soundtrack as a whole is not one-trick pony and would work well with any game environment. All in all, it's this man's opinion that this soundtrack is as close to perfect for use with a D&D game as a collection of music can be. 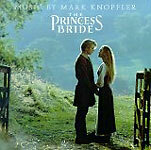 This album is the soundtrack to the popular film starring Cary Elwes and Andre the Giant. Given that the film was about adventurous swordplay and true love, it has tracks the lend themselves both to passionate roleplay moments and combat. Given that most people who see the movie will probably recognize the tracks, it makes sense that they would be a good background for one-on-one fencing, though they seem like they would work equally well for standard D&D mass combat as well. Some of the slower tracks would even work well for "in town" music. This album seems like a well-rounded mix of music that would suit just about any D&D game fairly well. 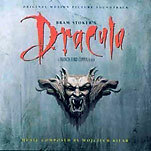 The Dracula soundtrack is dark, moody, and particularly suited for the suspenseful, shadier moments in gaming. A good deal of the music brings to mind fog, darkness, and the horrors that lurk just out of sight. The last track, however, is in a completely different vein than the rest (if you'll pardon the pun) and might ruin the feel of the scene if it is not skipped over. This soundtrack is wonderfully creepy and suspenseful, and can only enhance the spookier moments of a game. Many of the pieces evoke a sense of awe, a feeling of mystery, and the tingle of fear. It is a powerful soundtrack for the worst environments and villains. You can even measure out your narration to take advantage of some of the rising and falling moments of the music. It also has tracks suitable for combat, especially because of the military-style drumming that is done during the more active pieces. As far as soundtracks go, it is strong from beginning to end and crafted with considerable care. This soundtrack paints pictures in the mind of long expanses of sand, the mirage of the sun, and the adventures that occur around every corner. While it does seem to go best with desert settings, this soundtrack provides tracks for all sorts of scenes, dark, exciting, and otherwise. 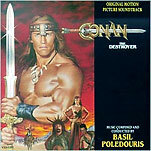 Before listening to it, I originally thought that this soundtrack was going to sound a lot like that of Conan the Barbarian. While there is a similar feel (it’s Basil Poledouris, after all), the two albums are very distinct of each other. This album had a more experimental feel to it. The very epic brass movements weren’t as long as the previous soundtrack album and the anvil strikes were missing, but more work was done with chimes and bells, which gave the album a sort of welcome juxtaposition between the heavy brass and the light chimes. The only complaint I had with this album compared to its predecessor was that it sounded like the symphony used for the production of Conan the Destroyer was obviously smaller. This album would make a welcome addition to just about any D&D game. Many of the tracks, particularly Elite Guard Attacks and Conan and Bombaata Battle, have a very epic feel to them, which lends itself well to visions of cinematic battles. Other tracks, like Valeria Remembered, have a softer, almost romantic feel to them. This kind of music blends well into the background and almost becomes ambient noise, which is good for a game. 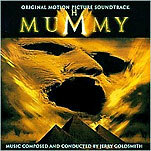 It’s rare for me to run across a movie soundtrack that sounds as... well, epic as this one does. 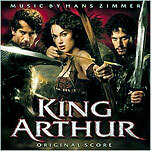 The film was about the clashing of two barbarian armies, and the music very aptly reflects this. Most of the tracks are comprised of heavy kettle and bass drums backed up by just the right amount of strings and woodwinds. Some tracks have chanting of various kinds in the background as well. To me, this album simply screams “orc army on the move.” I’m especially impressed by the third track, Do You Think I’m A Saxon. Often when it’s after midnight and I’ve just had a particularly hard day at work, I pop the album into my truck’s CD player and skip right to this track, playing it as loudly as my speakers can handle. The music sounds exceptionally harsh and violent, which I could easily see a need for at any gaming table. 3: Do You Think I'm Saxon? I own many individual Celtic music albums, but this one was my first, and remains one of my favorites. 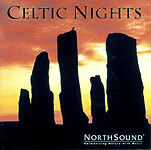 Soft music played with traditional Celtic instruments mingles with a small amount of ambient nighttime sounds to create a vision of a quiet evening gathering in a small tribal village. At times, Gaelic lyrics compliment the music, though always in the background, so they never trample the instrumentation. This album’s music might be a bit soft to work well with the epic feel that many DMs try to cultivate via tense battle scenes, but it would play nicely as an ambiance otherwise. I’ve been using it as background music while designing game materials for years, so I can personally speak for its usefulness. All things considered, this beautiful album should compliment any game situation other than constant battle.